This lovely volume provides a broad and rich source of blessings, many of which have never before been published. There are blessings for the seasons; for minor seasonal events like Mothering Sunday and Harvest, and for special events, like school and pet services, weddings, and the dedication of homes and church premises. A section of biblical exhortations, ascriptions and doxologies is also included. 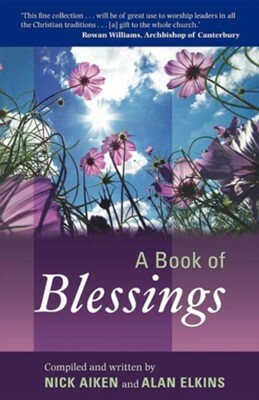 Those who would like to write their own blessings for public use will find guidance in the helpful introduction, which looks at the theology and nature of a 'blessing' and its constituent parts. I'm the author/artist and I want to review A Book of Blessings.